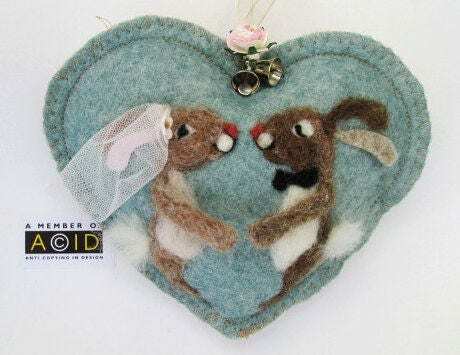 Personalized Wedding ring pillow, engagement ring gift, Congratulations Rabbit Heart decoration - needle felted love rabbits on felt heart. 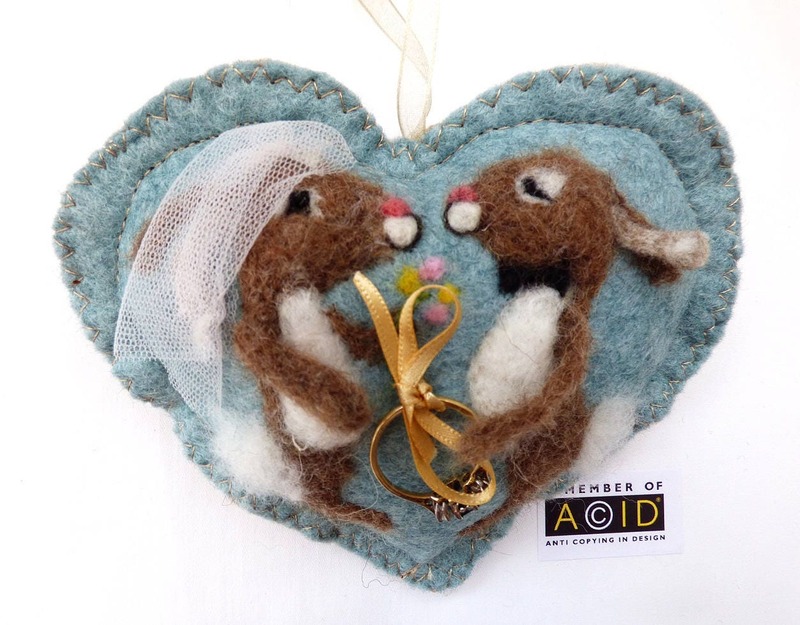 These two loving bunnies are needle felted with 100% pure wool in my original design. 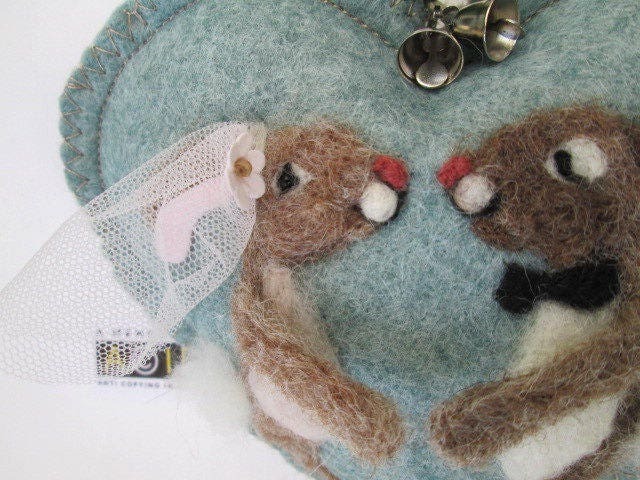 Their arms and ears are 3 dimensional which bring them to life as his the brides rabbit's veil and flowers. This listing is for the heart shown in the first picture with the additional golden silk ribbon to tie a sweet bow around the ring. 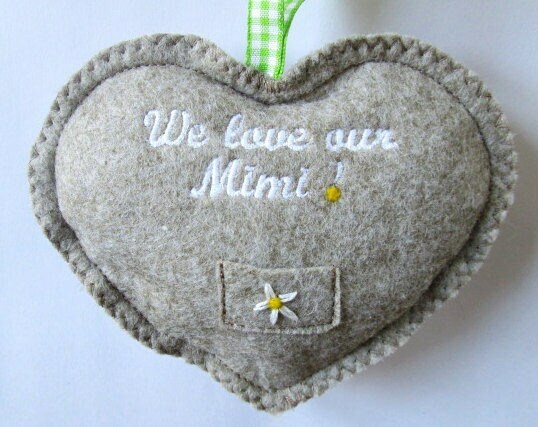 This can be used as a wedding ring pillow for the service or as a presentation gift when proposing! The top of the heart is adorned with organza ribbon two bells and delicate pink rose. 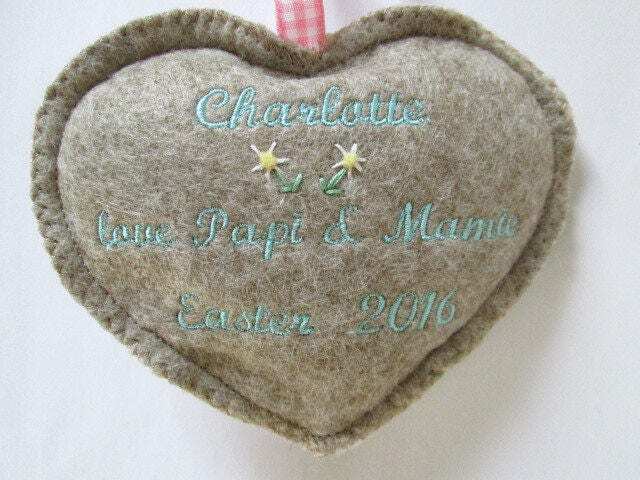 I am happy to embroider a name, date or short message on the back to make it a very special gift - please choose the number of letters with the personalize drop down menu and add a message with your order as to which words /date you would like. From this day forward - followed by a date.